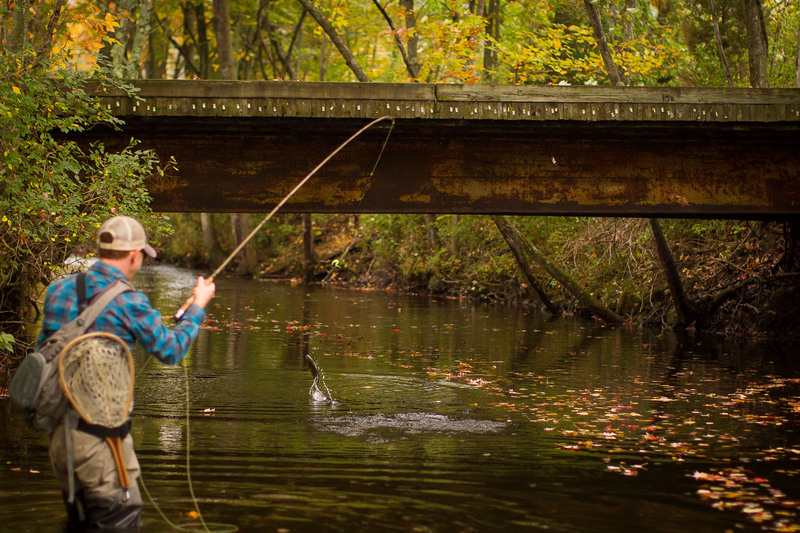 The Little Lehigh at one point in time had the claim of most fish per mile in PA. It may also have the claim to most fishermen per mile on nice days as well. Not to worry, there are plenty of fish for everyone. This limestone stream runs through the park system of Allentown near Cedar Crest Blvd. and has two different sections listed under PA’s Fly Fishing Only regulations. 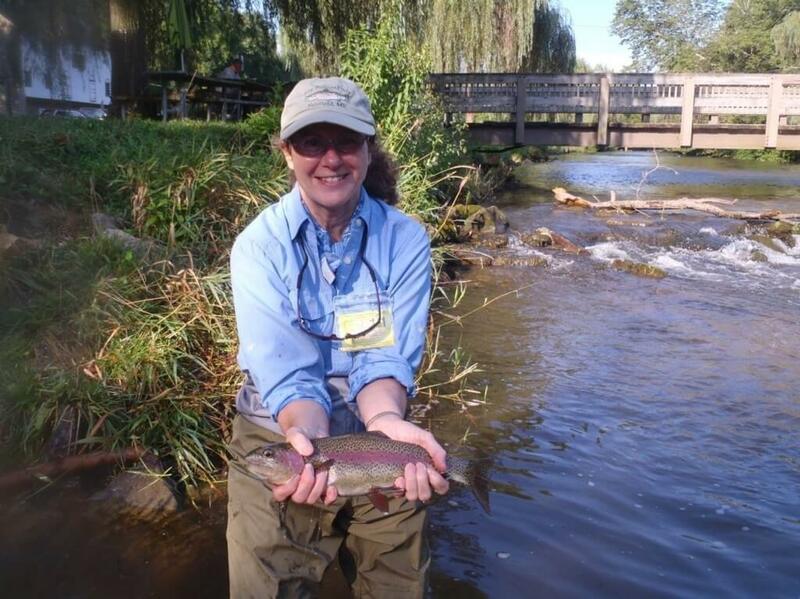 The most popular is downstream of the Fish Hatchery Rd bridge in the Allentown park system and the other is located upstream near Wild Cherry Lane giving fly fishermen two great opportunities to fish for plenty of stocked and wild fish. There are also plenty of trout, and sometimes less pressure in the non- regulated areas as well. This stream has great fishing year round and good hatches. Little Bluewing Olives, Sulphurs, Tricos, and caddis are the best hatches on the Little Lehigh and can provide excellent dry fly fishing over good numbers of rising trout. 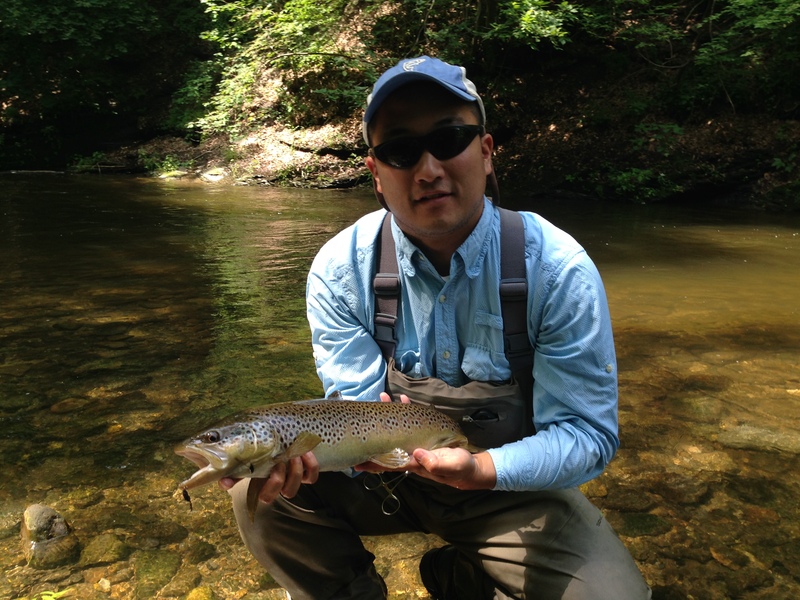 This stream is a must see for the Trico fisherman. The fish on the Little Lehigh behave as though they may have doctorates in entomology and fly fishing. That being said they can be caught on light tippet and small flies most of the season. The Bushkill Creek in Easton may be one of the most underrated streams in PA. This limestoner has good hatches and a healthy population of wild browns as well as state stocked fish. Fish from 4 to 24 inches can be found in these waters which run from the Jacobsburg area of Northampton County to Easton where the Bushkill meets the Delaware River. This stream suffers only from the aesthetics of the surrounding city. The upper end of the creek is actually quite pleasant, but the lower section that runs directly through Easton holds the most and biggest fish. Fish can be caught year round in this stream between the buildings of Crayola, Pfizer, Herco, and Easton Iron. The scenery is not what most people dream of when they think trout, but a screaming reel makes you forget where you are pretty quick. On a hot summers day you will find cold water and feeding fish and in the winter you will find good fishing as well. If this stream was in Central, PA it would be a destination. It’s worth a shot if you’re into fish not scenery.